Lakshmy Ramakrishnan‏ is known for her character roles in many popular films. She has also established herself as a critically acclaimed director with films like Aarohanam and Ammani. Earlier it was speculated that Aishwarya Rajesh and Ashok Selvan are part of Lakshmy Ramakrishnan's next film. Now Lakshmy has confirmed that Aishwarya will be a part of the project through her Twitter handle. 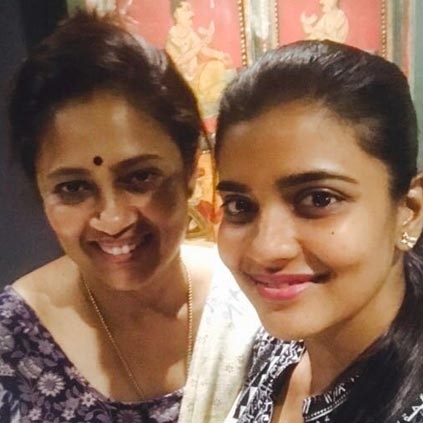 Aishwarya Rajesh is on a roll and is currently busy with Dhruva Natchathiram and Vada Chennai. And now she has another interesting project up her sleeve. Sridevi's Mom box office - Want to know how well it has performed? Sonika’s Death Case: Vikram sent to 14 days judicial custody. Details here! Exclusive: Ajith completes it in just 3 days! What is the connect between Bala and this music composer? Aishwarya Rajesh To Act With Nivin Pauly. People looking for online information on Aishwarya Rajesh, Lakshmy Ramakrishnan will find this news story useful.